O’ Brothers (and Sisters) Where Art Thou? Exciting times are a comin’ to New Mills, which will become an honorary part of Appalachia and the centre of the bluegrass world for one very special night, next Saturday 4th Feb.
I’m not usually one to rely on Wikipedia as a reliable source of information but, on this occasion, I think I can quote it with absolute confidence: “Mike Compton is an American bluegrass mandolin player and former protégé of the Father of Bluegrass, Bill Monroe. He is considered a modern master of bluegrass mandolin”. 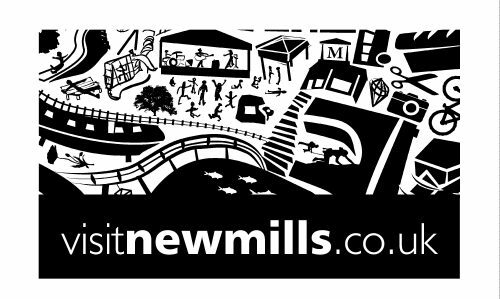 Given its size, New Mills is a town that punches well above its weight culturally and in recent years we’ve managed to attract all sorts of quality musicians and bands here. However, I’d put this down as our biggest coup yet. You won’t need to be a bluegrass or country music fan to appreciate this one, all you need to know is that Compton and Newberry are the genuine article and about as authentic as it gets. Personally, I am beyond excited (as you might just be able to tell). There are biographies elsewhere but I wanted to delve a little deeper and get a bit of footage up here for anyone who might be wondering what all the fuss is about. 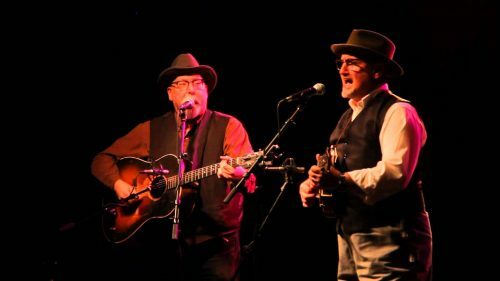 Joe Newberry, a resident of North Carolina, is a guitar and banjo player with a deep understanding of the roots and history of Appalachian music. Have a look at him in the clips below for all the confirmation you need. As mentioned above, Mississippi’s Mike Compton is something of a legend when it comes to bluegrass mandolin. He’s played alongside all sorts of great people and we’re incredibly lucky to have him up close and personal on our own doorstep. But as much as Mike has contributed to other peoples acts, the real thrill is to see him performing, alongside Joe of course, in his own right. Check out these two solo performances in Nashville. What to expect from Compton & Newberry here in New Mills? 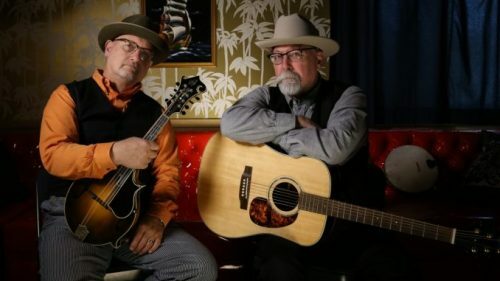 Who knows but whether you want to call it roots, country, bluegrass, old time music, mountain music or a mix of all of the above, these guys can do it as well as anyone. You do NOT want to miss this one. As if that wasn’t enough, opening the show will be New Mills’ own Emilie Lee with her thoughtful and eclectic mix of acoustic covers. Get there early to secure a good pew! Sat 4th Feb, St Georges. Tickets £8.00 (plus booking fee) available online here – or from High Street Books & Records.